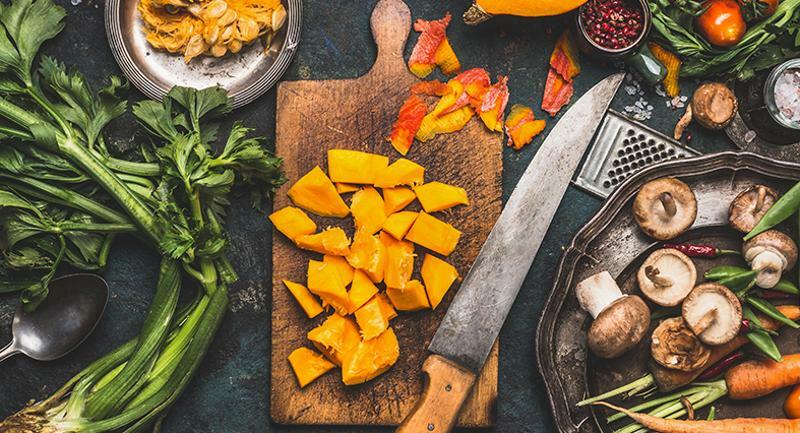 Given consumers’ increasing interest in authentic ethnic dishes, traditional comfort foods and healthy, plant-forward diets, this fall is the perfect time for operators to look to those types of offerings to inject some on-trend seasonal variation into their menus. 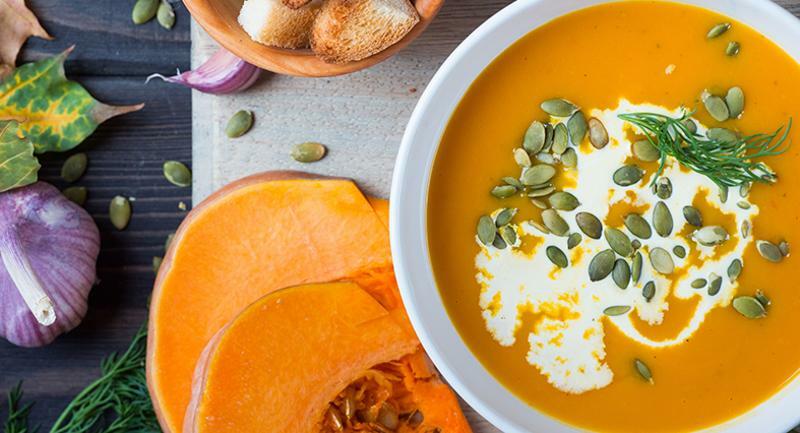 Menu items can often be adapted for fall with the use of the ingredients and flavors of the season, such as pumpkin, apple, butternut squash and maple. 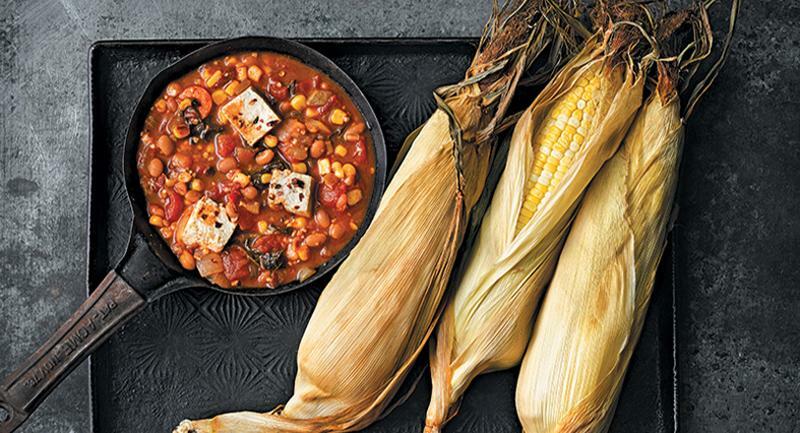 Check out these four menu ideas for fall that feature flavorful and nutritious beans as a key ingredient. 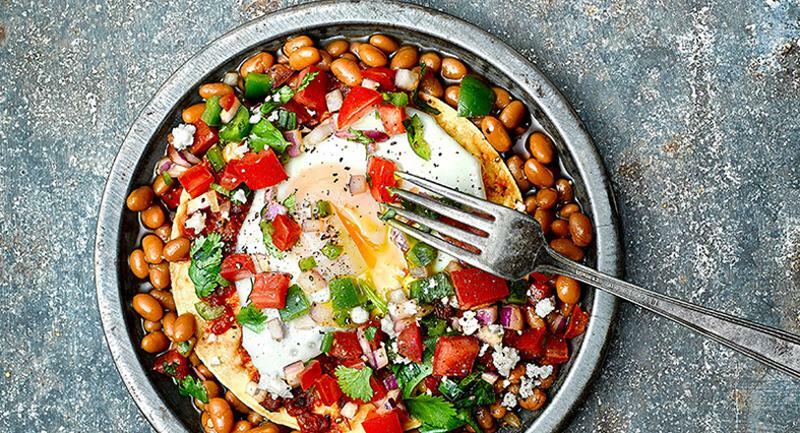 Beans can provide a base or add-on for a variety of on-trend bowl dishes for fall, including breakfast bowls. Sodexo recently added grab-and-go breakfast bowls at a cafe in a government building in New York City. These bowls include a layer of beans or lentils topped with scrambled eggs, crispy diced potatoes and bacon. Such breakfast bowls could easily be adapted for the fall with the use of sweet potatoes or other seasonal ingredients or could be given a Mexican flair with the use of black beans, avocado and chorizo, for example. Meanwhile, Kismet, a Middle Eastern cafe in Los Angeles, uses white beans in its recipe for kuku, a Persian frittata that also contains Swiss chard and barberries and is served with greens and yogurt. Spicy ethnic foods lend themselves to fall menus, offering warm flavors for customers eager to explore new taste experiences. According to Technomic’s 2018 Ethnic Food & Beverage report, 87% of consumers say they order ethnic fare or foods with ethnic flavors. Of those, 32% would be willing to pay more for authentic ethnic dishes, and 36% said they like to explore regional varieties of mainstream ethnic cuisines to try new foods and flavors. At acclaimed vegan restaurant Candle 79 in New York City, the menu features empanadas made with chili-grilled seitan, oyster mushrooms, zucchini, kale, black beans, tomatillo sauce, guacamole and almond cheese. One ethnic dish well-suited for fall is butternut squash & black bean enchiladas. In addition to cubed butternut squash and black beans, this dish includes tomatoes, cilantro, cumin and chili powder, simmered in a skillet with green chiles and jalapeno. Mexican entrees are easily adaptable for noncommercial settings, and with fall ingredients such as sweet potato and butternut squash, dishes such as enchiladas or chilaquiles offer Mexican influence with fall flavor. Plant-forward dishes can also be a part of fall menus, particularly when they incorporate seasonal fruits and vegetables. Instances of vegetarian options on menus have increased almost 5% on menus in the last five years, according to Technomic’s MenuMonitor. In addition, according to Technomic’s 2017 Center of the Plate: Seafood & Vegetarian report, 49% of consumers say they are likely to order dishes described as plant-based. Fall is the ideal time to menu plant-forward soups and chili. One menu example, as offered at Tommy Bahama Restaurants, is Cuban Black Bean Soup with Chorizo Sofrito. It offers a spicy take on a dish that is well-suited for fall, with warm spices and a hearty finish. Similarly, Au Bon Pain offers several soups and a chili that are vegetarian, including a French Moroccan Tomato Lentil that includes brown lentils, red lentils and navy beans combined with three types of tomatoes in a broth seasoned with onions, garlic, curry spices and ground pepper. The chain also offers a vegetarian chili made with pinto and light kidney beans in a spicy tomato broth with onions, bell peppers, garlic, cumin, ground pepper and cilantro. Of course, these menu items are the perfect inspiration for any foodservice location, commercial or otherwise. 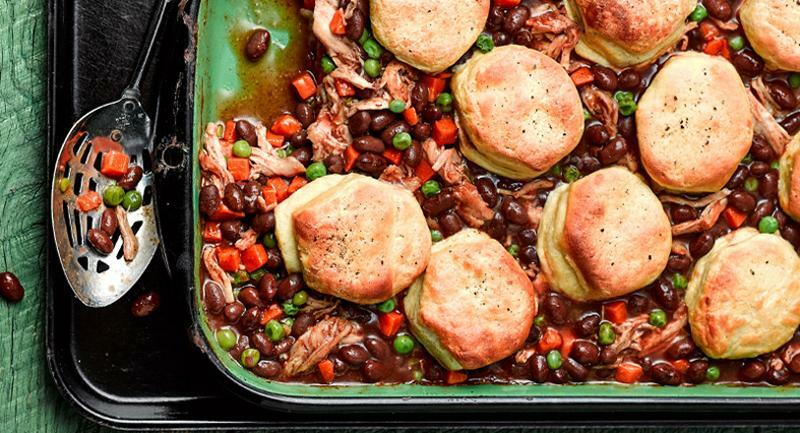 Fall is not just about vegetables; it’s also the perfect time of year for comfort foods that feature roasting, stewing and braising. According to Technomic’s 2017 Center of the Plate: Beef & Pork report, consumer interest is increasing for classic and comforting meat dishes such as meatballs, beef pot pie and meatloaf. Operators could consider menuing traditional pork and beans using slow-cooked pork shoulder and braised white beans. Serve the pork atop the beans, alongside sauteed garlic spinach and crusty Italian bread. 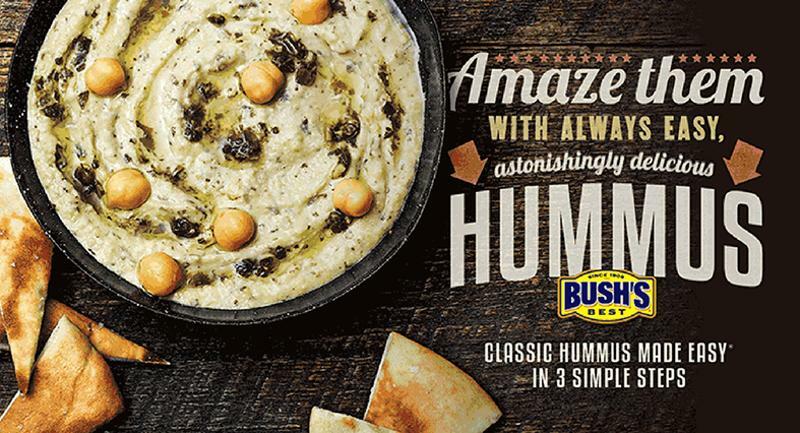 In just three refreshingly simple steps, with Bush’s Best® Classic Hummus Made Easy® you can serve fresh-made hummus that’ll have your guests marveling with delight. Learn more and explore tempting ways to use hummus.